Less than a month after their first official meeting (that took place in Lead, South Dakota), the directors of Dakota Mutual Life gathered again to reconsider the company's home office location. 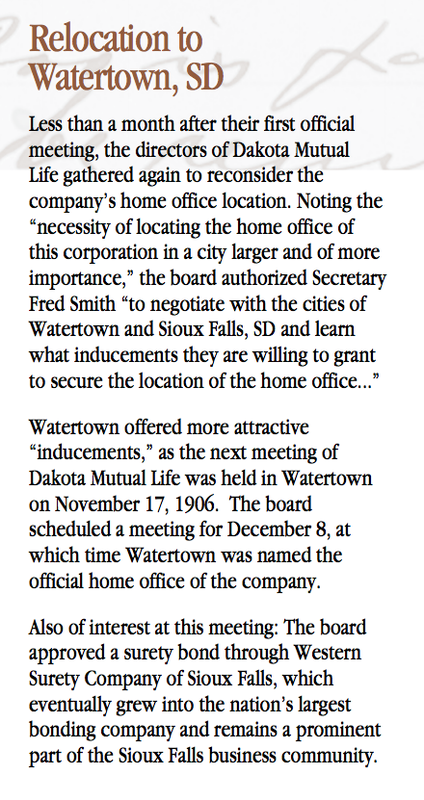 Nothing the "necessity of locating the home office of this corporation in a city larger and of more importance," the board authorized Secretary Fred Smith "to negotiate with the cities of Watertown and Sioux Falls, SD and learn what inducements they are willing to grant to secure the location of the home office..."
Watertown offered more attractive "inducements," as the next meeting of Dakota Mutual Life was held in Watertown on November 17, 1906. The board scheduled a meeting for December 8, at which time Watertown was named the official home office of the company. You can see a photo of the original Watertown home office below. Also of interest at this meeting: The board approved a surety bond through Western Surety Company of Sioux Falls, which eventually grew into the nation's largest bonding company and remains a prominent part of the Sioux Falls business community. 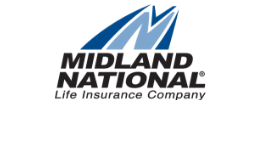 To read the story of the founding of Dakota Mutual Life - which became Midland National - click here. 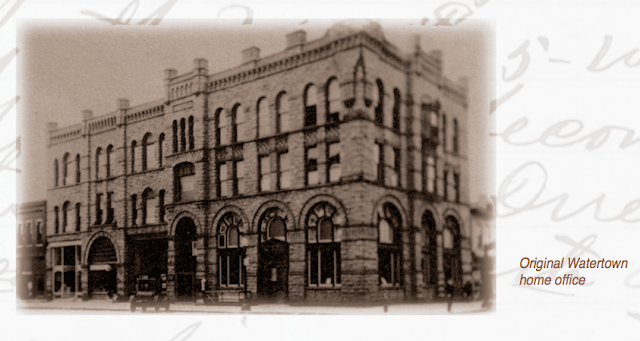 The original Watertown home office for the company that became Midland National Life.